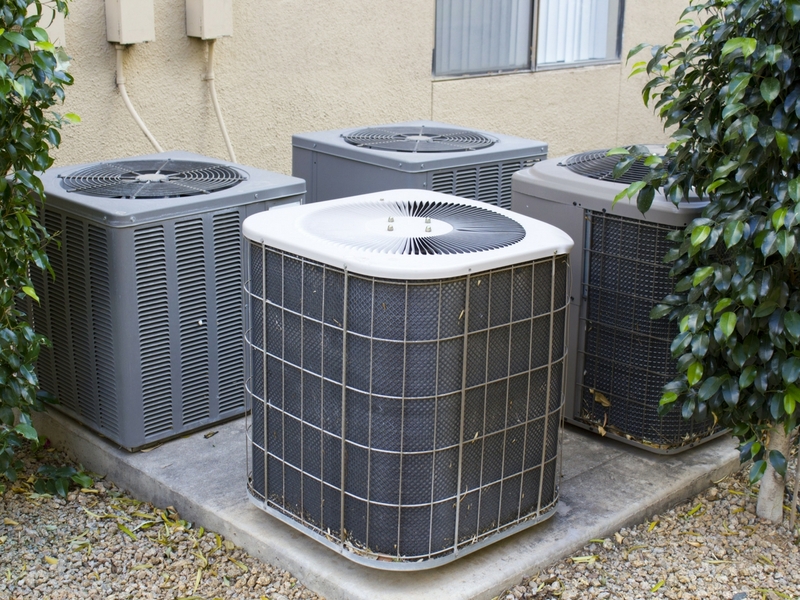 An air conditioner array with this many units could be a sign of a multiple-room grow op. This is the final post in our four-part series about marijuana grow-room air conditioning. If you haven’t read the previous three articles, please take a look to find out about air conditioning your grow room, fundamental grow-room cooling issues, and dealing with contractors and electricians. The most important takeaway from this series is that amateurs shouldn’t be installing air conditioning or electrical infrastructure in their homes. Personally, I trust nobody but myself. When a contractor knows you’re growing weed, that their work must be kept secret, that you can’t complain about their shoddy workmanship, then said contractor loses motivation to do the job right and provide warranty service. Ten years ago, when I set up a grow house, I hired a guy who had a licensed air conditioning business but did unlicensed work for marijuana growers. He came highly recommended by other growers. He installed a new split unit, air handler and thermostat. But he didn’t look at the ductwork or remember that I’d told him to install enlarged return and delivery ducts in the grow room. He installed the air handler wrong and failed to properly place the condensate pump. said he was too busy to fix it. Basically, he ripped me off, but there was nothing I could do about it. Instead, I had to suffer through that season, dismantle my entire grow op, and pay a licensed professional to properly install the air handler, replace the condensate pump, and put in new ductwork. 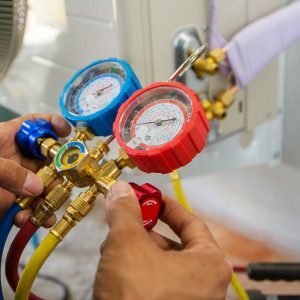 So the smartest thing to do if you want a safe, code-compliant, properly installed air conditioning system is to hire a licensed professional. Problem is, even in legalized states, you don’t want anyone to know you’re running a marijuana grow room. So along with not having any signs of a grow op when a contractor visits your house, you need a plausible explanation as to why your home needs extra cooling capacity. I’m the next Rick Rubin! One room of my house will be a recording studio and a live performance rehearsal room. I’ll be cramming lots of high-powered amplifiers, speakers, monitors, and other devices into that space. Several people will be in there during music sessions, so lots of body heat as well. I love fish! So I’ll be running cold-water aquariums in a specific room. I’m the next Bill Gates! I’ll have computer servers and a data center in a specific room. I’m very creative, so I’m running a T-shirt heat press, or an enamel-baking machine for making scale models in a specific room. I like to bake, so I’ll be installing a tanning bed! Unless you “look like a stoner,” these cover stories usually work. It helps if you conduct research so that you’re familiar with equipment that would be used for your specific cover story. Check out the below YouTube video about mini split AC for indoor grow ops. Minimize risk by knowing ahead of time exactly what you want, so the contractor doesn’t have to think too hard about your situation. Measure square feet of air conditioned total space in your dwelling. Depending on climate region and sun exposure, you need approximately one ton of AC capacity for every 600 square feet. For example, an average home with 1200 square feet of floor space needs a 2–2.5 ton split-unit whole-house air conditioner. Calculate how many watts of grow lights you’re going to run. For every 1000 watts of HID, you need about half a ton of air conditioning capacity. For every 1000 watts of LED grow lights, you need slightly less than half a ton of air conditioning capacity. Calculate AC requirements for the whole house without grow op heat load, then add to that the additional capacity your grow op will require. For example, a house measuring 1200 square feet with 3000 watts of HID in the grow room needs a four-ton whole-house split unit. Alternatively, I could use a 2.5 ton whole-house split unit, and a wall split unit in the grow room that has 1.5 tons of cooling power. I’ve questioned HVAC engineers who install dozens of air conditioning units per year. 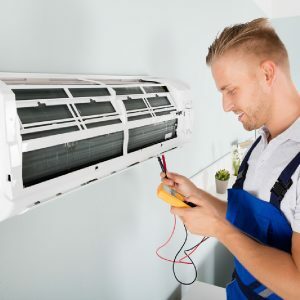 They say the most reliable air conditioning equipment manufacturers are Trane, Carrier, Rheem, and for ductless room split air conditioners, LG or Mitsubishi. 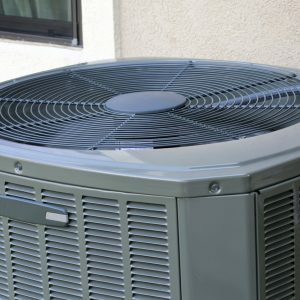 If you have limited budget, I recommend Goodman for your whole-house split unit. Please note that there is one company that makes air conditioners specifically for hydroponics grow rooms. It’s called Ideal Air, and they have a very good reputation. When you’re looking at equipment specs that use British thermal units, or BTU (heat load) measurements instead of tons, use this handy conversion tool. I make sure the house has no trace of cannabis smell or cannabis grow op infrastructure. I calculate air conditioning load and research the equipment I’ll need. When the contractor arrives, I tell him exactly what I require: “I want a three-ton Lennox 16-SEER whole-house split unit and air handler. In this specific room I want an LG ductless heat pump system. “I also want the return and delivery whole-house ducts in that room to be larger than in other rooms, and to have adjustable louvers so I can totally block them. When you give a contractor that level of specificity, it reduces the amount of questions they ask and shows them you know what you’re talking about. They’re also less likely to try to upsell you or otherwise manipulate your purchase choices. Now that you’ve read our four-part marijuana grow-room air conditioning series, you’ve got insider information that’ll help you choose and implement the best air conditioning strategies for your indoor grow op. Your marijuana plants will give you bigger and stickier buds because you’ve given them fresh, clean, cool air and an ideal temperature, humidity, and vapor pressure deficit conditions.